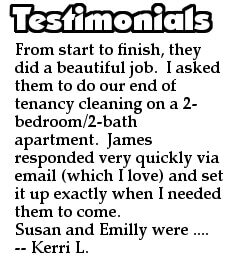 Domestic cleaning help is hard to find these days, and even if you do find a good cleaner, chances they will charge you quite a bit for their time and effort. We at Cleaners Richmond believe that access to quality cleaning services should be made available to more households out there and thus have developed a wide range of quality and affordable domestic cleaning services. Our service list is comprehensive and actually covers many customer requirements, unlike other service providers which claim to have a long service list with no or little practical use. 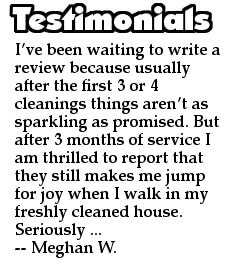 Trying to find a good cleaning company is hard enough as it is, but having to deal with unprofessional cleaners that aren’t up to scratch is even more frustrating and disappointing. 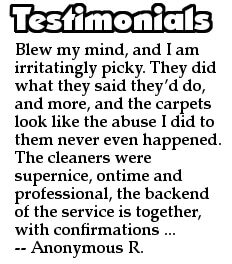 In order to provide our customers with the highest quality service we have trained all of our cleaners professionally and have honed their practical skills even more. All of them undergo extensive in-company training as to be aware of the latest and most effective cleaning systems and techniques. As we understand how important security and peace of mind is to our customers, especially in the world we live in today, we have vetted all of our staff and have subjected each of our cleaners to the relevant police and security background checks in order to ensure you, our customers of our commitment and professionalism. We consider ourselves to be an innovative company, always on the watch-out for better products and materials, having said that, we would like to make customers aware of our constant improvement and innovation policy which is driving us forward, we aim at providing cost effective and efficient services every time. All of our cleaning jobs are performed using non-toxic, environmentally friendly solvents, detergents and materials as we care for the health and well-being of our customers and their loved ones. All rooms and areas of the house will be included in the cleanup, including heavy use areas like the kitchen, bathroom and toilet. Our cleaners will perform a thorough cleaning of appliances, sinks, taps and floors to a professional finish.